We are committed to providing opportunities for local people to interact with herbs and each other in a social way. We organise free community courses, workshops and events that are open to all as well as working in partnership with local organisations to help increase our reach. 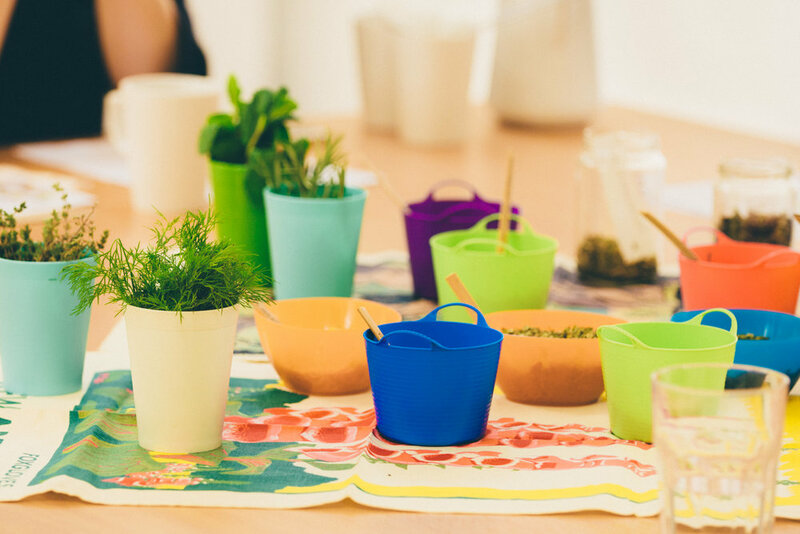 We regularly run a 6-week Herbal Craft course at the Centre for Better Health, a community-based charity that supports wellbeing and recovery from mental ill-health. The course shows participants how they can incorporate herbs into their lifestyle under the themes of mind, body and home. We are also working with City and Hackney Mind to deliver therapeutic Herb Gardening and Craft courses. The sessions are designed to be inclusive and interactive with attention placed on creating a welcoming and supportive learning environment. So far we have delivered 11 courses engaging 122 participants. We are passionate about teaching people about the wonders of herbs. From our own personal experiences we find the best way to learn is by doing. We provide a number of opportunities for people to get involved with the project through volunteering. This ranges from giving us a hand at one of our growing sites, helping us package up new blends to supporting us at one of our events or workshops. We also offer a herbal trainee scheme for those wishing to advance their skills and expertise. So far we have been supported by 123 volunteers and 5 trainees. We think that herbs act as a great way to celebrate diversity and we are always fascinated to learn new recipes and stories from different cultures. 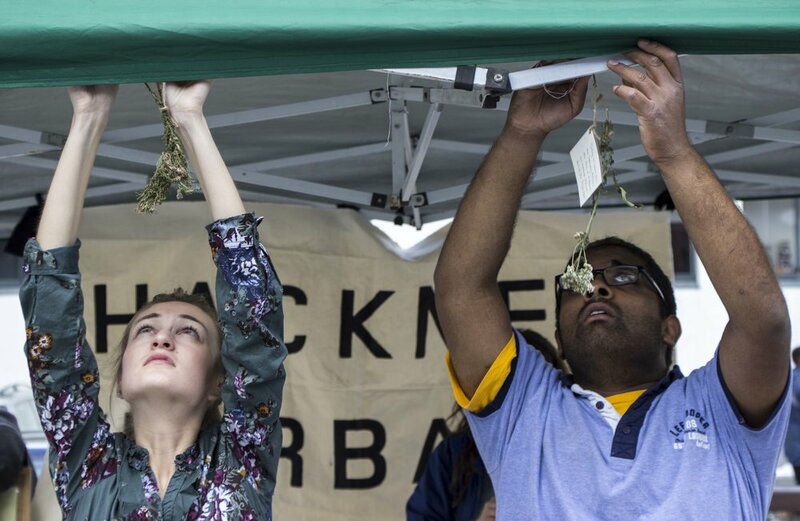 We are building a collection of herbal stories from around the world captured through our herb map which comes with us to all our community events. We love being invited along to run workshops and activities with partner organisations who share our values for providing creative activities that promote health and wellbeing. We have experience of delivering hands-on creative and educational workshops for both adults and children and can tailor the activity to the needs of the group. So far we have engaged 429 people and delivered 192 hours of free community activities.